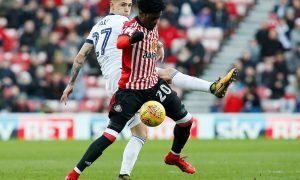 Sunderland lodge player-exchange deal to Premier League rival | The Transfer Tavern | Where football transfer rumours fly or die! 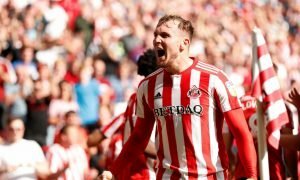 The Sunderland fans in The Transfer Tavern are competing in a skittles tournament in The Transfer Tavern and discussing their club offering a swap deal in order to land a new striker at the club. The Sun is reporting that the Wearside club have offered Fabio Borini and Jordi Gomez to Swansea City in exchange for their front man Andre Ayew. 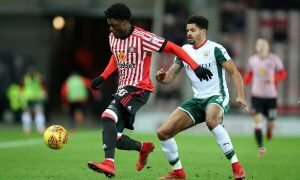 The North East side have seen two bids turned down by the Welsh side with offers reportedly lower than the club’s £14 million valuation of the player. So Sam Allardyce has decided to offer Borini who is no stranger to new Swansea boss Francesco Guidolin, having previously managed the former Liverpool striker during his time as manager of the Italian Under 21 side. It is reported that both Borini and Ayew are open to moves, and with both players reportedly high earners talks over wages should not be a problem. The Sunderland fans in The Transfer Tavern would love to see Ayew at the club, and believe he is the quality of striker that could help lift the club away from the relegation and to safety come May. Swansea fans, is this offer tempting? Let us know in the comments below!